This collaboration beer was originally created for the American Homebrewers Association (AHA) homebrewing contest in 2013. As stated on Stone's website, R & R Coconut IPA won in the contest and made quite the splash among those who were there. 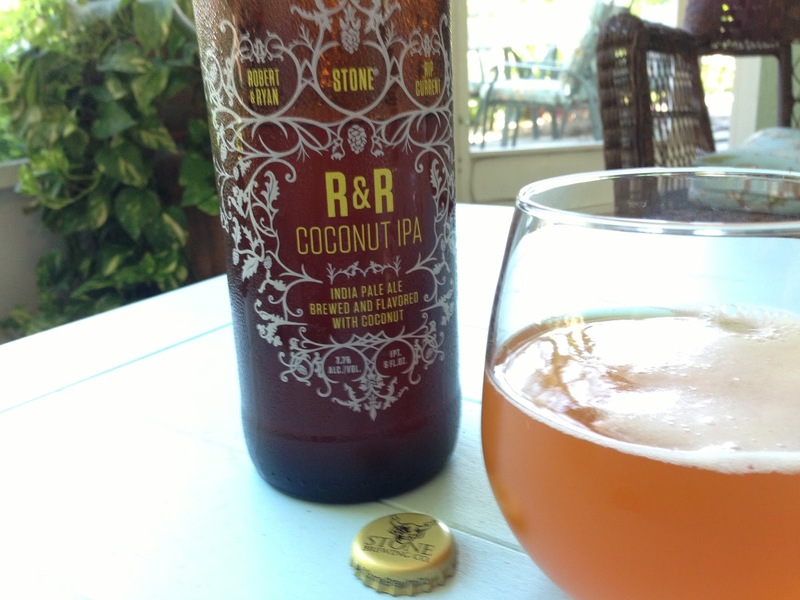 The recipe calls for a crazy amount of coconut (280 pounds, to be exact) and a clever blend of hops and toasted grains. All of this culminates into a refreshingly-tropic-yet-familiar-flavored-IPA. Appearance: Pours a cloudy orange color with a minimal head that sticks around. The color is pretty, but not what I expected. Resembles what you'd typically see from a wheat/hefeweizen beer. Aroma: Grapefruit and fresh hops. Semi-sweet, but I really don't pick up on the coconut. Taste: Very citrusy from the grapefruit and (maybe) orange or lemon zest. The back has a subtle sweetness from, what I imagine, is the coconut. But, like the aroma, it's really played down and not nearly as prominent as I hoped or expected. The finish is crisp and clean with a lingering sweetness. This is a gentle and enjoyable IPA--one that should appeal to the masses. The hop-bitterness is present, but the fruits and sugars really bring a nice balance. Mouthfeel: Medium body with a good amount of carbonation. Refreshing. Overall: I enjoyed this beer. It's one I could drink a lot. This was particularly enjoyable after a long day in the sun and on the water. 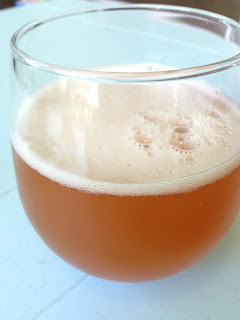 Based on the flavor alone, it's not nearly as innovative as the recipe makes it sound, but it is a pleasant and tasteful IPA that is well-balanced between the bitterness and malts/sugar.